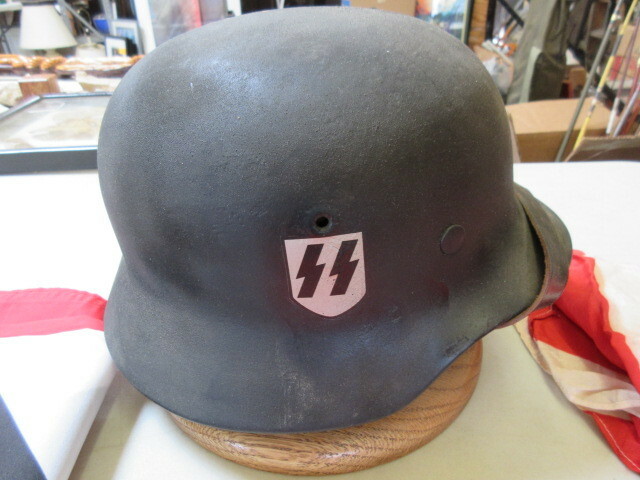 This is a nice German M42 SS Decal WWII Helmet with display stand. 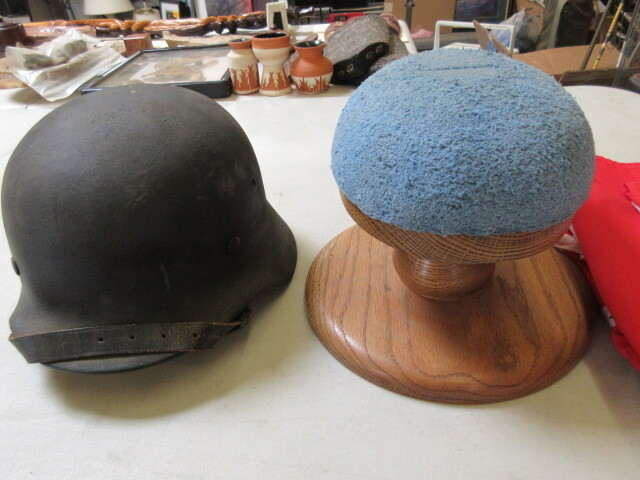 We have been told that this helmet is authentic as is was acquired during WWII by our client's Father. 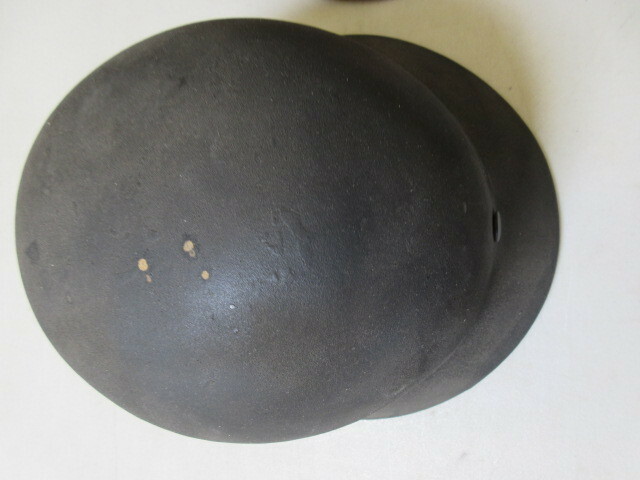 Helmet, chin strap and lining are all in nice condition. We have no way to verify the authenticity so it is up to you to verify. 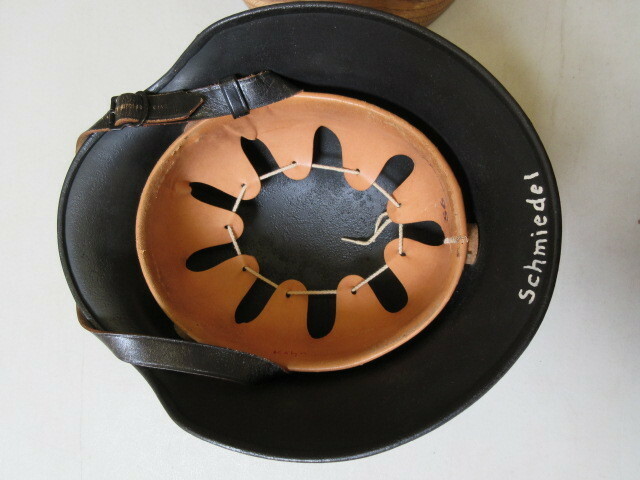 It is a very cool collectible piece of history. 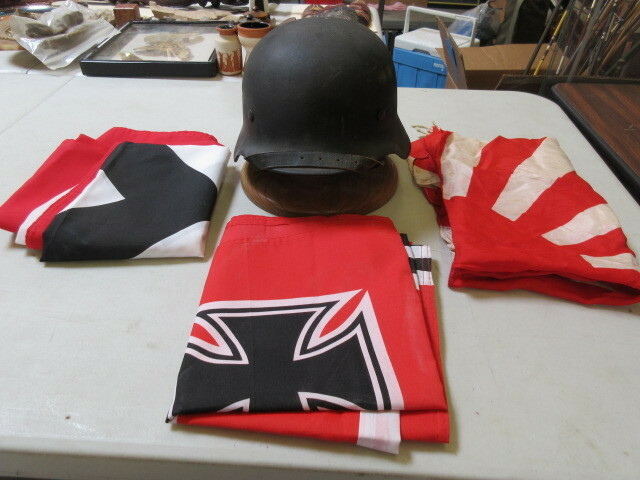 Also includes 3 flags 2 German and 1 Japanese Sun related to the war. The pick up dates for items won in this auction are Wednesday, August 15th and Thursday, August 16th, 2018 between 8 am and 7 pm. IF YOU CANNOT PICK UP ON THOSE DAYS, DURING THOSE TIMES, PLEASE DO NOT BID. WE DO NOT OFFER ALTERNATE PICK UP DAYS OR TIMES FOR ANY REASON. We do not take checks. We take visa, master card and cash. There is a UPS Store near us that will pick up from us, pack and ship items. If you think you might want to use this service please call KURT OR ALEX @ 952-927-8137. Call them prior to purchasing, tell them what you are interested in buying to be sure they will ship your item, and ask for a quote so you know how much they will charge you to ship it. IF THEY WILL NOT SHIP YOUR ITEM NO OTHER SHIPPING IS AVAILABLE. If you are the winning bidder call us and pay for your item, then tell us that you are calling the UPS Store to have your item shipped. That's all there is to it.